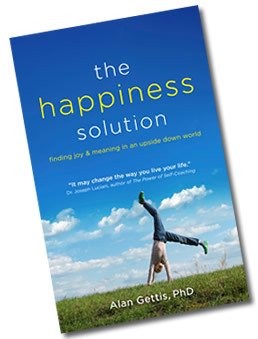 Happiness Solution | About Dr Alan Gettis Ph.D. Author of "The Happiness Solution"
There was something missing. Although he had degrees from four different universities and was schooled in psychodynamic, supportive, and cognitive behavioral therapy, there seemed to be a key ingredient that was lacking in his therapeutic approach to helping others heal and thrive. That was in 1969, when his search for the missing ingredient lead him to studies of world cultures in general and Zen in particular. 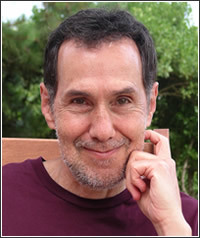 As the years passed and he became steeped in stories and Zen wisdom, he knew he had uncovered an important method of helping people to get unstuck and feel happier. 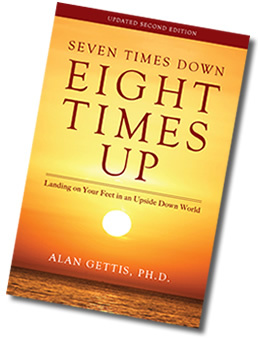 Yes, Dr. Alan Gettis believes wholeheartedly in the power of stories. Dr. Gettis spent two years as a Vietnam era army psychologist in the late 1960’s. In the 1970’s, he worked for seven years at a large mental health center as the Chief Psychologist. He is a clinical psychologist with graduate degrees from Central Michigan University, Utah State University, and Columbia University College of Physicians and Surgeons. He has been in private practice since 1974.